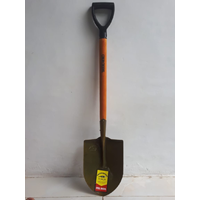 The shovel is divided into three parts, namely the head, the middle, and the handle. Our company also produces handles that have the best quality. Tukar ke Indonesia Tools Carpentry Tools Skop CHORCODEL is a skill plate variation of 1.4 mm plate plate from CV. DUA SRITI as the main producer of tools of Carpentry and Agricultural Equipment in East Java. Skrop CHORCODEL prefers the main function of work supporting tools that is comfortable to wear, and is classified as light to size 1.4 mm thick plate iron skrop with a very affordable price in its class. 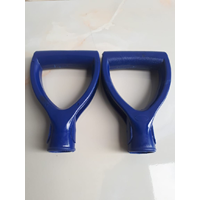 Leaves / skew head of iron plate powder coating paint with heating oven system so that the color is more smooth, strong and evenly (choice of color adjust) is presented the choice wooden handle (maoni, pine, sengon, etc), as well as hadle / handle of high quality plastic material. For reservations and info please contact: Imron (marketing). 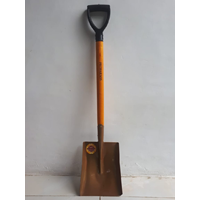 Tukar ke Indonesia Tools Carpentry Tools Prohakson Premium shovel are one of the best products from CV. DUA SRITI as the main producer of tools of Carpentry and Agricultural Equipment in East Java. Skill PROHAKSON is an ideal combination that integrates between attractive appearance and comfort in use in the field work because PROHAKSON sketch is made from a combination of 1.4 mm iron plate that is lightweight but still prioritizes the strength because it uses a semi hard steel plate, is presented with the handle of fine wood and grip hand (handle) HDPP plastic material super quality plastic seeds. For Booking can contact: Imron (marketing). 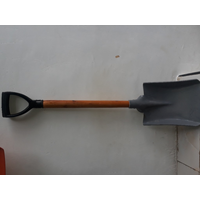 Buat Permintaan Untuk "Wooden Shovel"